So here is today’s finished quilt. It was 95 x 122. I’m very happy he wanted the Circle Lord Baptist fans on it. 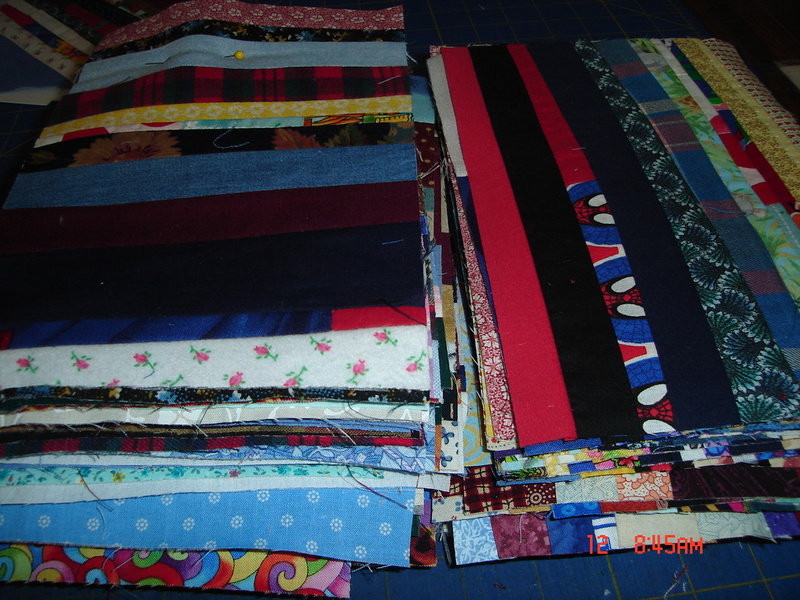 In between searching all over blogger for answers; I took breaks to cut on fabrics in order to vent my frustrations. I got out some of my string blocks and trimmed them up to 6 x 9. 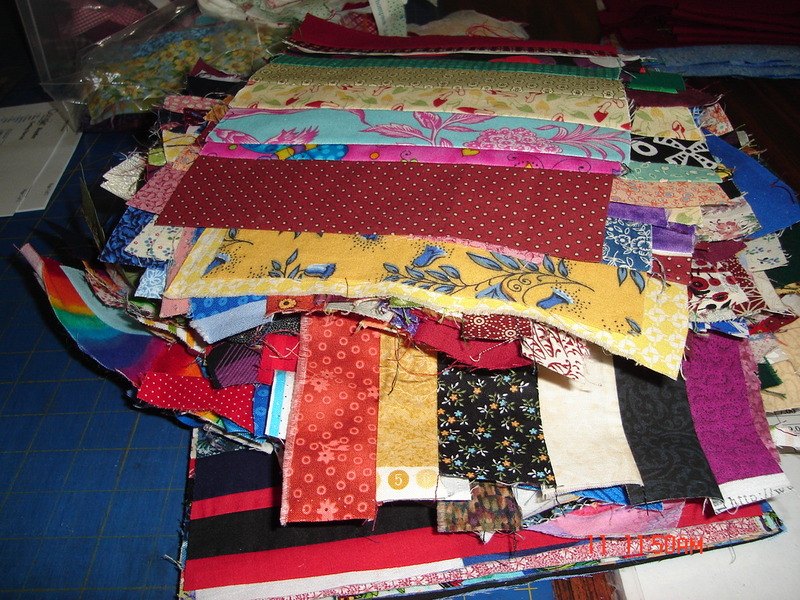 Now I have to find a quilt design I like to use them in. This is before trimming. This is after separating them into strips going horizontal and strips going vertical. Now that all the internet stuff is taken care of maybe I can get back to normal. I will be gone all day tomorrow and probably Friday too. I wanted to get all this straightened out first. 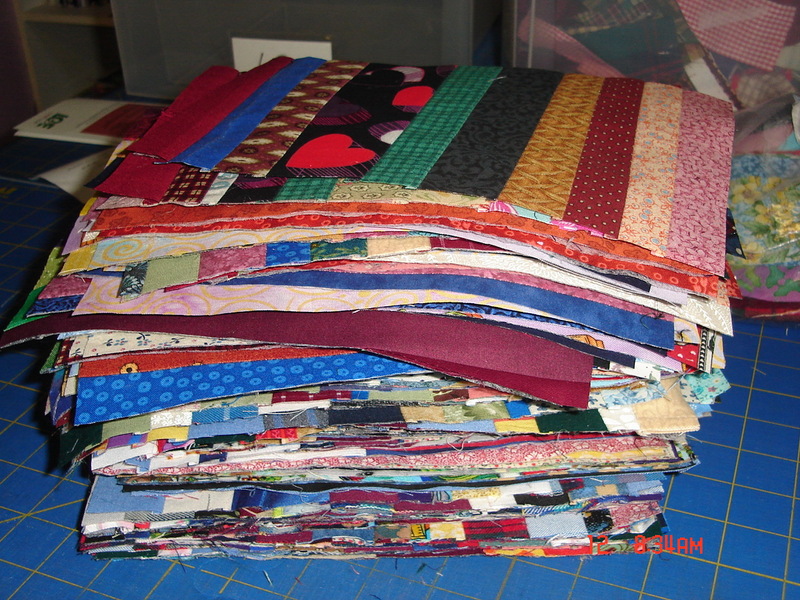 I will be at the Kentucky State Fair looking at all the quilts entered that I quilted. It will probably be the last time I get a chance to see them up close and personal. The Baptist Fan on that quilt looks wonderful! Hope you are having fun at the fair! 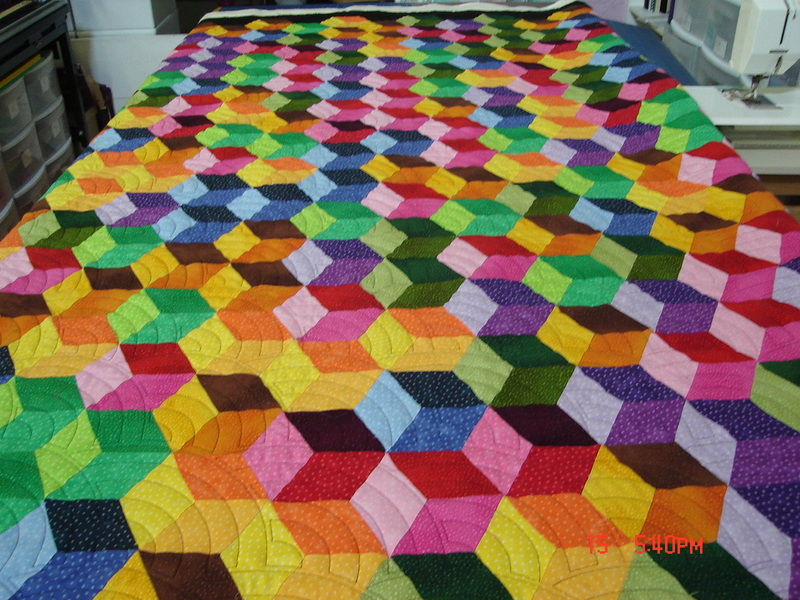 This entry was posted on August 15, 2007 by Anita in Charity quilts 2007, Customer quilts 2007.